I have been rather quiet lately, coping has been taking up all the strength that I have. Thanks so much for your support on my last post, grateful replies are forthcoming! I had the most amazing experience this week. I went to see my pain specialist regarding the developing new area of pain on the sole of my foot. Not once….not once…did he suggest that it was simply a new symptom of the CRPS. Instead, he examined my foot such as any doctor would with a new patient presenting a new symptom and worked from what he found out through investigating. It was such a relief to not have to plead my case, to not have to beg to have the foot examined and try to find words to explain how the pain was any different to regular CRPS flaring. He just believed me. I almost wept with joy walking out of there. I have never before encountered any doctor or specialist who didn’t put off examinations and tests simply because I have CRPS and am therefore expected to be in unpredictable pain. My pain specialist suspects that I might have plantar faciitis in my right foot, which is basically an inflammation issue in a band of tissue that extends from the underside of the heel along the sole, toward the toes. I’ll be having an ultrasound in just over a week to confirm this, but it definitely fits with the pain patterns that I have been experiencing over the last three weeks. Thankfully, my Feldenkrais practitioner was able to explain that. Ever since I started seeing her, we have been working on improving function in my feet. Like those of many people who experience chronic pain, my feet have developed some nasty habits that I need to undo. My toes don’t like to stretch out anymore, they have taken the stance that bent up and buckled is their default. Through a lot of hard work, I have loosened my little piggies considerably and in the weeks leading up to the mysterious development of this new heel pain, I was walking with much more of my foot than I had in some time. Rediscovering how to use my foot is a slow process, steps are wonky and feel strange rather than “correct”. Like most bands of connective tissue, the plantar fascia doesn’t like to be repeatedly pulled on, or stretched in a new way. For example, when I step with my toes buckled up in their default pain response, the underside of my foot is strained more than when my toes are relaxed. Give it a go…tense your toes and take a step, then relax them and take another. Feels a bit different, yes? 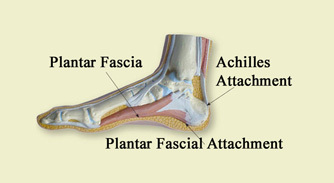 I can only imagine that in my efforts to retrain my foot, I have been straining the plantar fascia with all the newness. Connective tissue is just as scared of change as humans are, you know. I need to ease it into this. Unfortunately, I wait and I manage it as best I can. Resting allows the inflammation to ease, however resting too much leads to stiffness which brings me right back around to straining the plantar fascia with each step. I have to keep working on my toes, both using my hands to move and loosen the stiff joints and also using Feldenkrais techniques and micro movements to coax my toes out of their hunched position and reset the default to one that’s more practical, i.e: loose and free. I have to walk very carefully. I don’t want to throw the rest of my body out by limping. I’m pretty bloody proud that this hasn’t happened thus far, it means I have been managing the sore foot better than in the past. I have to listen to the pain because in this instance, it actually has something relevant to say. If I overdo it, I worsen the strain. Coping has become easier since that wonderful appointment. Having spent years experiencing excruciating pain that is being caused by a nervous system malfunction, it’s actually an enormous relief to endure an injury that is diagnosable and will heal. Funny how something can be so frustrating and yet a relief at the same time. I am working through a lot of frustration. I don’t feel as overwhelmed, I just feel generally disheartened that many of my privileges have been taken away for a while. Driving, walking, socialising, independence…those things are privileges in my world. I am trying to focus on looking after myself and taking care of my foot, but that focus is still drifting back and forth between OK and very sad. I miss the freedom of two working legs. I miss the freedom of not feeling ill every day. I miss the freedom of being able to wake up, decide to do something and then go and do it. I miss the freedom of being able to dream about the future without massive physical limitations. But I also look forward to getting some of those privileges back over time. I’ll keep playing these cards, keep my head in the game and pretty soon my heart should follow. P.S. Did you know that it’s National Pain Week in Australia from the 24th-30th of July? I will be hosting an online event, I’m just hashing out the finer details before announcing it…you’re all invited! 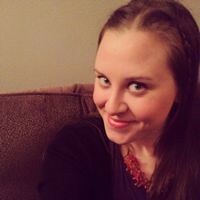 This entry was posted in Living With CRPS/RSD on July 18, 2011 by Hayley Cafarella. I had to get better shoes, tape up my foot for a while and then do some simple stretches. Was all better by the time I was strutting down NYC streets.